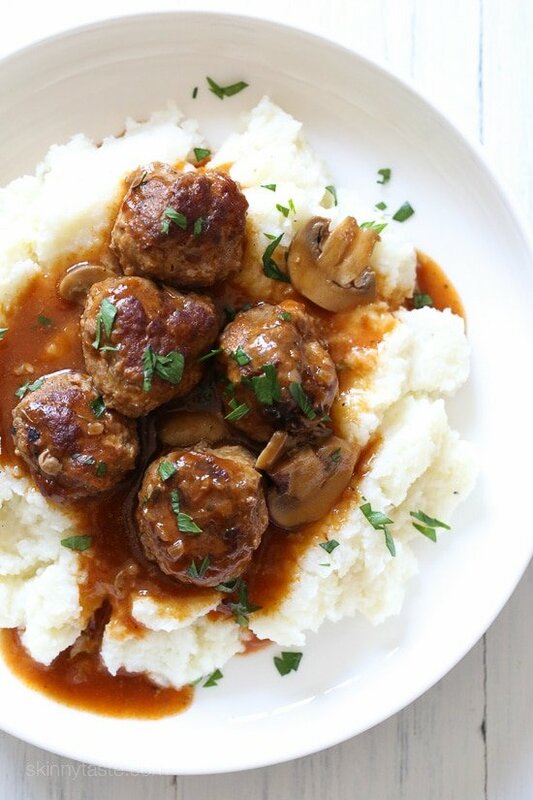 These beefy meatballs are cooked in a mushroom gravy and lightened up by using half ground turkey and half lean ground beef. I made these in my Instant Pot (a multi-cooker that does the job of a slow cooker, electric pressure cooker, rice cooker, steamer, yogurt maker, sauté/browning pan, and warming pot all in one) for a meal that took less than thirty minutes to make, but have also included stove top and slow cooker directions. For anyone wondering, I have the 6 Quart Hamilton Beach Set ‘n Forget Programmable Slow Cooker (affil link). I love it because you can adjust the time you want it to cook, and it automatically turns to warm when it’s done. It also has a probe for meat that automatically shuts off when done. I hated my old crock pot, it burnt everything and my food had a weird taste. This slow cooker is so great, I actually own several! I’ve been dying to make these meatballs which I adapted from my Salisbury Steak recipe. They are wonderful served over cauliflower mash as pictured here or why not try them over skinny garlic mashed potatoes. 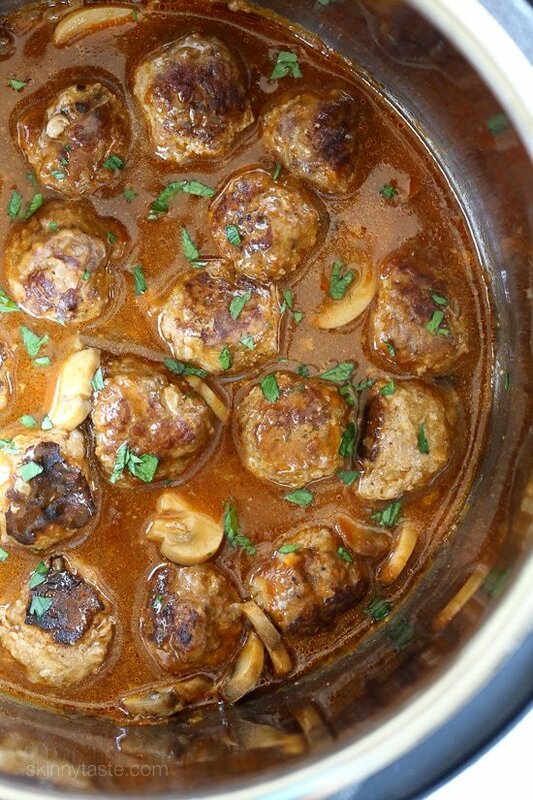 These beefy meatballs are cooked in a mushroom gravy and lightened up by using half ground turkey and half lean ground beef. 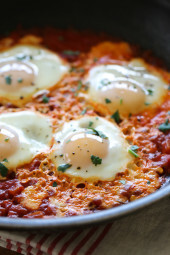 Kid-friendly, comforting and delicious! Heat the Instant Pot (or non-stick pot) back on saute, add remaining teaspoon of oil and brown the meatballs (in batches so you don’t overcrowd the pot) about 2 minutes until no longer sticks (if it doesn’t turn, it’s not ready yet), turn and brown an additional 2 minutes. Add the mushrooms, 1/8 teaspoon salt and black pepper and pour the sauce over the meatballs, cover and cook on high pressure 10 minutes (20 minutes in a regular pot). Let the pressure release on it’s own. Garnish with parsley. 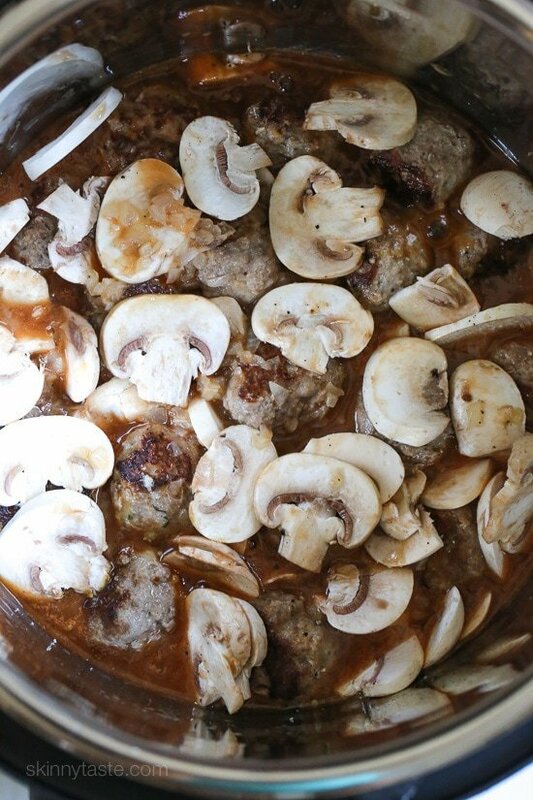 Slow Cooker Directions: Saute meatballs in a skillet, transfer to slow cooker with mushrooms, salt and pepper and pour sauce over. Cover and cook low 6 to 8 hours, until tender. I have made the Salisbury steak for many years . One of my favorites and my family. Can’t wait to try this in my insatant pot . Yummo! I would have to rate the Salisbury steak a 1,000 stars . Made these last night with Venison burger and they were delicious! Held up great, tasted amazing, and the sauce was perfect. Today I learned that Salisbury steak is one of my husband’s favorite meals. I’ve been looking for different ideas to get out of our dinner time rut, this will definitely go into our normal meal rotation! I did the stovetop method because I didn’t think pressure was necessary. I will probably not make into meatballs next time, I think patties will be just as good and less work. However, I was able to have this complete meal ready with green beans and mashed potatoes in less than 40 minutes, so I didn’t think it was time consuming at all! Awesome recipe! Did this in the slow cooker today and it was great! Contemplating making it a one-pot-wonder in my Dutch oven next time, but wondering about time and temp in the oven. I’m new to the Dutch oven world, only really tried soups and sauces so far. Any thoughts? Anyone try this with almond flour as a sub for breadcrumbs? Keto. If so, how much? This was so amazing. I had a hard time keeping the meatballs together but I’ll just broil them next time. The flavor was amazing. My bf loved them and he is picky. This recipe is out of this world delicious. I don’t like ground turkey so I used ground chicken instead. Well worth the effort. Perfect comfort food for a chilly winter evening. I made this with a slow cooker. OMGoodness was it amazing! 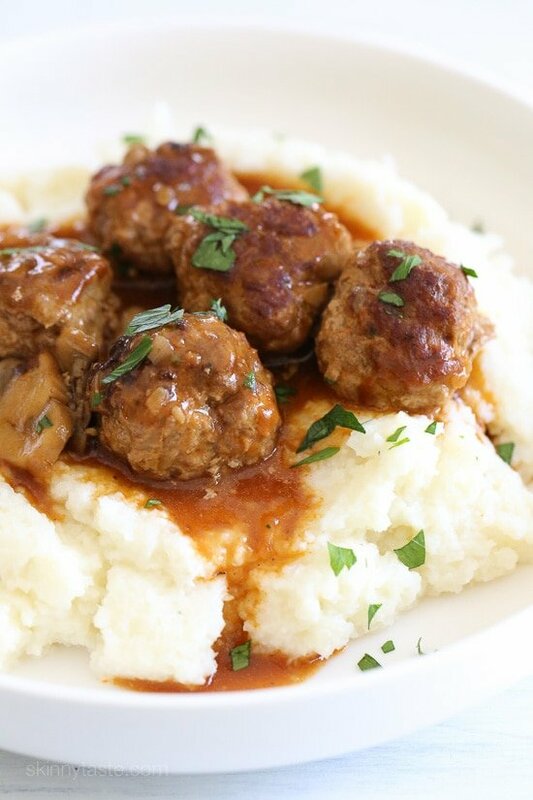 The meatballs were so tender and the sauce was a perfect compliment to the meatballs and skinny mashed potatoes. This recipe will be shared with my WW group and will be going in my printed recipes binder. Thanks so much for making and sharing this recipe with us!! So…I read the recipe 6-7 times and every time I swear it said to add the mushrooms to the hamburger when mixing it. So I did. But then found somewhere else it said to just add them. I was afraid I had ruined the meal. Nope! It was awesome! 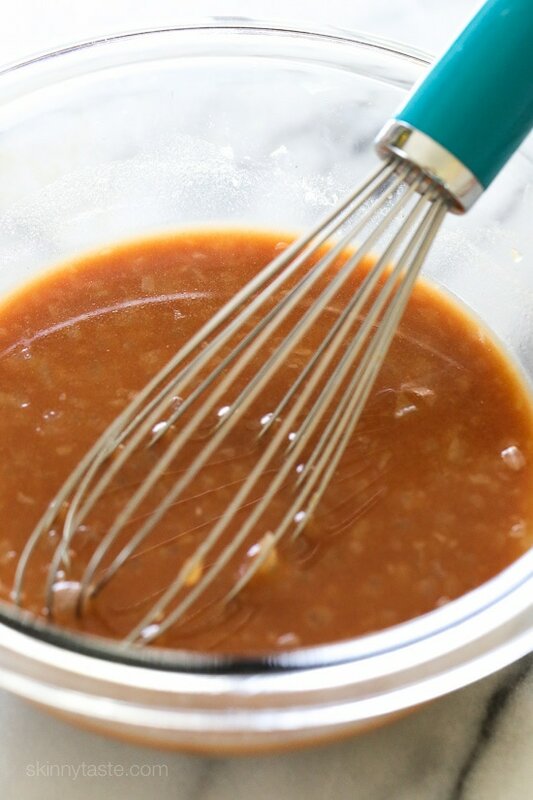 I added a package of brown gravy mix to the sauce and it was amazing!!! My only complaint is that it took an hour and a half to prepare. Now to be half of that time was my instant pot heating )it has to reheat for every single setting…which is so dumb. If it’s 341 degrees on sauté it should be hot enough to go to pressure cook right away, but maybe it’s suppsoed to be that way but it’s annoying). Otherwise the recipe was great. My kids love it, even my picky eater. IT TOTALLY DOES SAY TO ADD THE MUSHROOMS TO THE MIX! I JUST DID THE SAME THING ! My pressure cooker preheats with every setting as well. It drives me CRAZY. I have to thank you because this is the second or third recipe of yours that I’ve made and this was simple and incredibly delicious. I kept telling my kids about school lunches when I was a kid…lol….and salisbury steak with mashed potatoes was one of my favorites. This hit the spot and brought back good memories without getting me off of my WW plan. I’ll keep cooking your recipes! THANKS! My daughter and I loved these! I used only ground turkey and doubled the sauce. Served over cauliflower mash. Will make again! I’m a new user to the instantpot BUT, I think this would be easier in a stovetop prep. It is difficult to turn and get the onion and meatballs out of the IP because it is so deep. Also, 20 meatballs do not fit in one layer in the IP. This recipe does not instruct how to program the IP which was a problem for me. I did what I needed to do to make this a success, It was good after I put the IP on saute again to complete the cooking proccess. This was delicious! I made substitutions to make it gluten free. I also broiled the meatballs in the oven first, before putting in the instant pot. I doubled the recipe for the five of us and barely have any leftovers! Family loved this! Hi Gina,I made this and loved it but now want to make for someone with an egg allergy. Any chance I can substitute the egg out?Thanks! Me too please. Allergic to dairy, eggs, nuts. Could have used a bit more breadcrumbs to hold it together, would have browned the onions and meat in a separate non-stick pan as there was way too much burned/brown stuff on the bottom after. I had to scrub out the IP to avoid the burn message that would have definitely happened and probably would have prevented the balls from cooking all the way through. Anyway, other than that, it was delicious. Will make again with the adjustments mentioned for sure. This was like a flashback to my childhood—it tasted just like my mom’s delicious cooking. I’ve made it many times and my family loves it (even my mushroom-averse children, who aren’t aware of the wonderful flavor hidden in the finely-chopped mushrooms). I am so happy to be able to enjoy “real food” as a Weight Watcher. I find making meatballs tedious so I now make little slabs of meat that are easier to brown, and I adjust the points accordingly. So far have used a crockpot but am looking forward to using my new Instant Pot! can you make with just beef and no turkey? My dish turned out great. I used my crock pot express. The only thing I had to different at the end was take the sauce and put it in a pan over the stove and added a little more flour to thicken the gravy. It turned out perfect. I looked for the stove top directions but couldn’t find them. Are there directions for cooking on the stove top? Yes, they are actually within the recipe instructions—not separate. People seem confused by directions for some reason; probably not reading thoroughly. Step 1 clearly says to chop 1 oz. of the sliced mushrooms;, Step 2 clearly says to add CHOPPED mushrooms to meatballs. Remaining sliced mushrooms are added to sauce in Step 5. Step 3 is making the sauce called for in step 5; do not add to meatball mixture. Steps 3 and 4 should be switched for clarity. For those having trouble with meatballs not cooking through, are you using only 1 lb. total meat and making 20 small balls? That size ball should be well done in 10 min. pressure cooking. My 2″ meatballs are done in 15 min. I made these in my Instant Pot. Followed recipe exactly except added less beef broth when mixing meatball mixture. I did 1/8 cup instead of a 1/4. I made exactly 20 meatballs, did not saute in instant pot , saute on stove in a non stick pan turned after 2 mins. Sauce is lovely meatballs all stayed together no problem in instant pot..Will make again love the recipe. I made these for my husband and I and he absolutely loves them. We are both on Weight Watchers Freestyle and these are perfect for our plan. Thank ypu for coming up with these great meals and meal plans, keep up the great work. 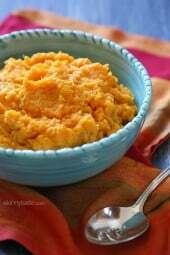 My husband and I both loved this recipe. I made riced cauliflower to serve with the meat balls. No complaints from the meat and potatoes guy! This recipe was so involved. It took less time to cook actual salisbury steaks on the stove. Tasty but won’t make it again. This recipe was not a success for me. 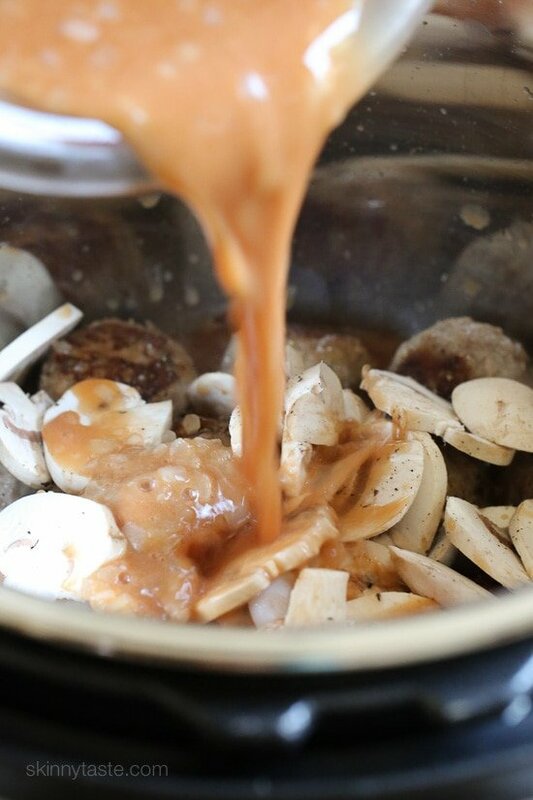 I tasted the gravy before pouring it over the meatballs & ended up tossing it. I had to make another gravy (frustrating) & went with Rachel Ray’s quick brown gravy. The onions burned while I was sautéing them & I had to cook the meatballs twice as long as recommended. In the end, they shrank to half their size. 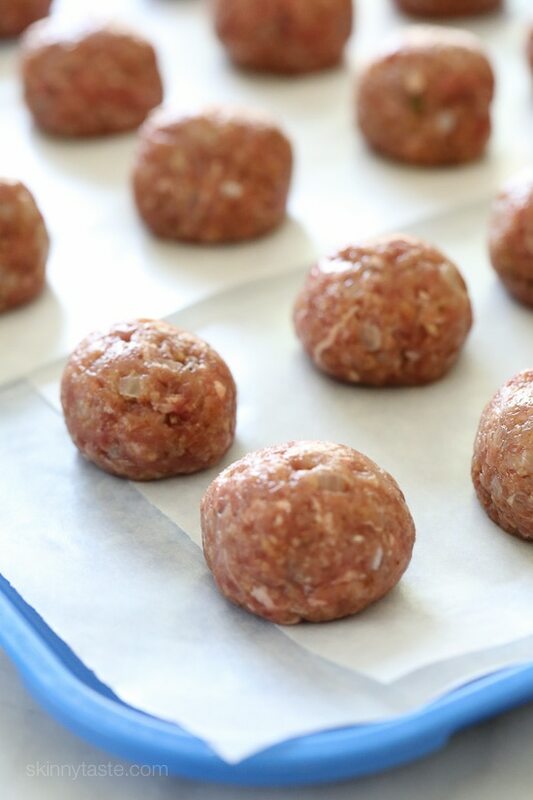 I believe the Instant Pot is not the ideal cooking method for meatballs & prefer the oven. I also was not pleased at all with this recipe. This was so good!! The gravy was absolutely delicious. I will make this again. The only thing I did differently was cook the meatballs in the oven before I put them into the gravy to finish them. When I tried cooking them completely in the pot they started falling apart on me. Excellent meatballs Gina! My family and I just love these meatballs and sauce that I cook on the stovetop and I always double the recipe for leftovers. They are tender , flavorful and go great with a roasted cauliflower parmesan mash. I use your recipes regularly and like the fact they are healthy and low in calories. I doubled the meat, prepared the meat the day before and left it raw, then the next day rolled into balls and proceeded with recipe, I highly recommend doing this as the flavors were amazing, I also used 99% ground chicken as it’s zero Smart Points but still added beef broth for the beefy flavor, I tripled the broth part to have extra gravy, absolutely amazing! DELICIOUS! I used 99% lean ground turkey instead as that is what I had. But, still yummy. May try next time using no beef to reduce points (i’m on WW). Will definitely make again. Also, just bought my instant pot today. this was the first thing i made in it. can’t wait to try more of your instant pot recipes. So delicious! My husband commented that it reminded him of old school TV dinners only a lot better. I used all ground turkey, a flax egg, and gluten free flour/bread (for breadcrumbs) and it turned out better than I thought it would. Delicious. I doubled the recipe so I’d have leftovers. Made it on the stove top. Easy peasy and delicious. Followed the ingredients list exactly but made in cast iron skillet and simmered in sauce for 30 minutes while the baby new potatoes cooked. Served with garlic green beans. Great meal with good flavor! Hubby is Mr. picky and he liked the flavor. OMG, this was SOOOO good! My kids loved it, too. Can you make this with gluten free bread crumbs? I’m gluten free and make meatballs with a combo of almond meal and coconut flour. Works perfectly! This isn’t helpful since a stovetop does not have a “high pressure” setting. Should you cook on high temp for 20 minutes? Low for 10 minutes in manual pressure cooker. In the recipe, you say to combine the mushrooms with the ground beef and ground turkey in step 2. You also say to add the mushroom, salt, and pepper to the sauce in step 5. Do the mushrooms go in the meat or the sauce or both? Thanks. I made this with some changes. I left out the tomato paste and added 1 cup of sour cream when the cooking was finished. I also baked the meatballs before placing them in the pressure cooker. I served them over egg less wide noodles. Your meatballs must have been really big, I used less than 1 lb of meat and made about 20 meatballs, and they were big by my standards. I probably could have gotten about 40 or more meatballs from the meat mixture..
OMG these are so yummy! You never ever disappoint. I changed it a little, since I had frozen meatballs. So good though! Thanks! This is one of our family’s favorite meals. Straight up as written or modified slightly based on ingredients at hand. Instapot or stove top. This comes together easily. And oh so delicious. After reading other reviews about the time it took to make the meatballs, I baked mine instead of frying. I cooked at 375 for 15 minutes and they were done. I also did not precook the onions for the meatballs… I just chopped them very fine. They turned out great and saved time. The sauce was made per directions, but I found it a bit bland. I added beef base and some garlic with double the pepper. Served over mashed cauliflower. Over-all it is a very good and satisfying dish. Husband loved it. First recipe I’ve used my instapot for and it was awful! The meatballs were sticking to the IP, the sauce was watery, and when all was said and done the meatballs were raw! What the heck happened? Any advice? Sooo… has anyone made this with frozen meatballs? This was GREAT! To save time, I did brown the meatballs in a pan. It does take a little preparation (meatballs just do! ), but it’s worth it. I added more bread crumbs (white, not wheat) to hold the meatballs together (my preference), I also added extra broth in the sauce to have more but maybe I didn’t need to (the sauce would have been thicker). THANK YOU! Made this for dinner. Turned out amazing I added fresh minced garlic with onions. I didn’t add any beef broth to the meat mixture but I added a tsp of beef base instead. I also used regular bread crumbs instead of whole wheat. It was a little time consuming but it always is when your making meatballs. This recipe was a real hit at our house. A real rib sticking dish for our snow day. I’ve made this twice now and have had the same issue. I may add a half teaspoon of beef bullion and bypass the broth next time. It’s super tasty, but needs to be tweaked a little. Can the sauce be frozen? 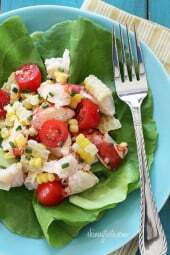 This is one of my favorite recipes from the site. I’ve only made it on the stove, but it’s wonderful served over mashed potatoes. Sometimes I’ll serve it with succotash and another vegetable, or just corn. I made this recipe tonight in my new Instant Pot. My husband and I enjoyed the Salisbury Meatballs very much. I needed to use a touch more salt in the sauce, but I think it’s because the broth I used had very low sodium. It was a cold, snowy day here, and these were perfect comfort food served with mashed potatoes and green beans. I’ll definitely be making this again soon! Any tips on meal prepping this for the freezer? Should I make the batch w sauce and mushrooms or just make the meatballs by themselves? Recommendations on thawing and reheating? Made this recipe as written for dinner. It was a hit! Picky eaters even loved it! I will definitely be adding this to the dinner rotation. Meatballs were tasty and tender, the sauce went great with the Skinny taste garlic mashed potato recipe. Had with sides of cooked green beans and baby carrots. Yum! Made this recipe as written & it turned out great! Took your recommendation & served with your cauliflower mash & some sautéed spinach. Will definitely be added to the weekly rotation. Gotta love skinny comfort food! Thanks!! My meatballs wouldn’t stay together. I basically had Salisbury ground beef/turkey. What a disaster. Any tips to get them to stay together next time? Same. I will probably skip the beef broth in the meat mixture next time and maybe more bread crumbs. I ended up crumbling up the beef and served it that way. Still super tasty but not quite the same effect. If you happened to use regular breadcrumbs instead of whole wheat, you may have needed to reduce the amount of broth. Whole wheat absorbs more liquid than regular breadcrumbs. I would cut the amount of broth by half with regular crumbs. I did a test with one meatball because mine seemed really moist. I had the same problem as you with it falling apart. I put my broiler on high and let them brown in the oven instead for a few minutes. Worked beautifully (no falling apart) and much quicker/less mess. I then stuck them back into the instant pot and followed the rest of the recipe. I need a ten star rating for this one. It’s so delicious. Next time I make it I will double it for sure. It took a little time for me to prepare, but worth every bite. Served it with the pureed cauliflower, which soaked up all that yummy sauce. It was heavenly. these were good! Not one of my favorite skinny taste recipes but still very good. Hubby mentioned the sauce could be a little thicker. Made crockpot and served with instant pot mashed potatoes. Not instant potatoes. Potatoes made in the instant pot. I added a package of brown gravy. So good. My kids ate without complaint. If you bake the meatballs for 20 min at 400, would you still cook for the same amount of time in the slow cooker? Can anyone recommend a brand of bread crumbs? Kroger has gluten free rice flour bread crumbs, can’t tell the difference. 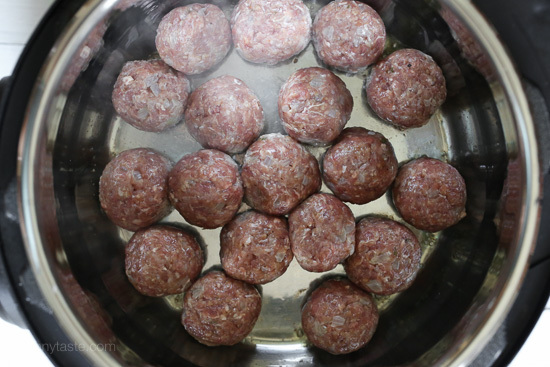 For freezing, would you recommend freezing the meatballs raw or cooked? I would freeze them cooked. I freeze meatballs all the time. I usually brown them and then flash freeze them before putting them in ziplocs. That way they aren’t too done when I take them out and put them into whatever sauce I’m using.